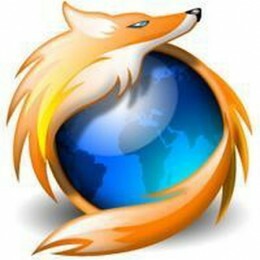 Mozilla Firefox is one of the best browser. It's fast, good and provides a lot of options and variation for smooth surfing. Every few days mozilla releases updates on the browser which fixes bugs in the browser. For smooth surfing and security point of view it's necessary that you should always be updated. Updating Firefox is very simple and any child also can do it. However if you don't know then here it is. You can do it in two ways. The first thing is from inside the browser and second thing is that installing by downloading the latest version. Now go to help in the menu. In help there is an option Check for updates. Click on it if there is an update firefox will download and install it automatically. You may have to restart browser or computer after installation is finished. The second Option is also simple but i prefer the first one. Go to Official website of Mozilla and download the latest version. The downloaded version will consist of all the updates. Install it and start surfing the net. Addons are the best thing in firefox which really helps a lot. You can find thousand of addons for firefox and can install them right away in your browser. From where do you get the best of addons? By Searching Google ..For most of you. This is straight way i am going to tell from where you can find supported addons without even going on Google. Go on Tools in the Menu. It will open a window which consist of 4 options. Get add-ons, Themes, Extensions,Plugins. Click on Get Add-ons and click on Browse all add-ons. It will open the official website for getting add-ons for mozilla. From there you can search your required add-ons or simply you can search it from the window itself. Almost same Process. Just simply click on themes in the window. and click on Get themes in the bottom right hand corner. It will open a website where thousands of themes are listed. Simply choose any one of them and click on wear it. In seconds your Mozilla Firefox Screen will be changed to your selected style. I hope it helps you in getting addons , updates and themes for Firefox.